We’ve seen a handful of reports and rumors related to the Samsung Galaxy Tab S2 in the past few weeks. Not too long ago, a press render of the alleged Samsung Galaxy Tab S2 showed up, and today, another press render of the alleged tablet showed up on Twitter showing the back of the device. The tablet brings a handful of changes and improvements to the design of the tablet, carrying the traits from the Samsung Galaxy S6 launched a few weeks back. 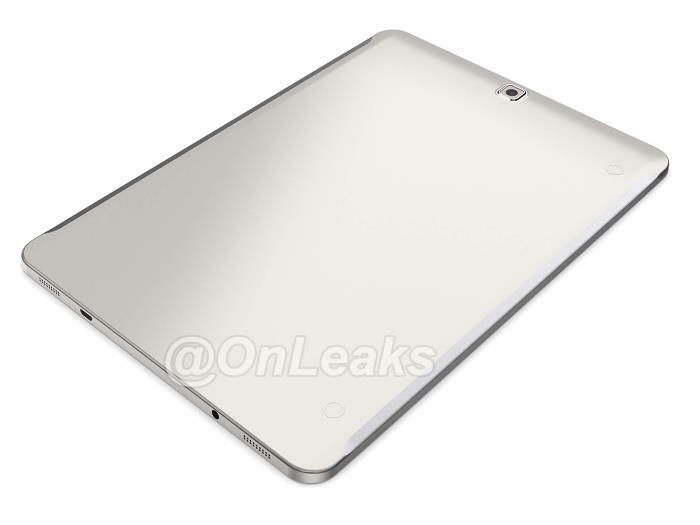 This will be a definite improvement over the design of its predecessor, giving the tablet a premium look. Furthermore, the latest set of images also reveal that the tablet will also come with cellular connectivity to provide internet access on the go, as can be seen from the image above. As far as the specifications are concerned, the alleged Galaxy Tab S2 will come in two screen sizes: 8-inch and 9.7-inch with a resolution of 2048 x 1536 pixels, a 64-bit Exynos processor paired with 3GB of RAM and 32GB of internal storage. There’s a microSD card slot present as well for users looking for extra storage on board. Other features includes an 8-megapixel rear-facing camera, and a 2.1-megapixel front-facing camera and will ship with Android 5.0 Lollipop as its operating system. We’ll update you as soon as we hear anything more about the alleged device.